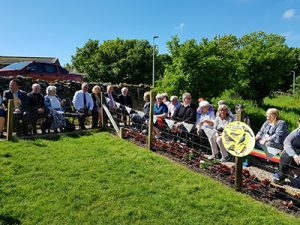 Our Honorary Director was delighted to be invited along this month to the opening of a very special community garden in the village of Rathen, Aberdeenshire. 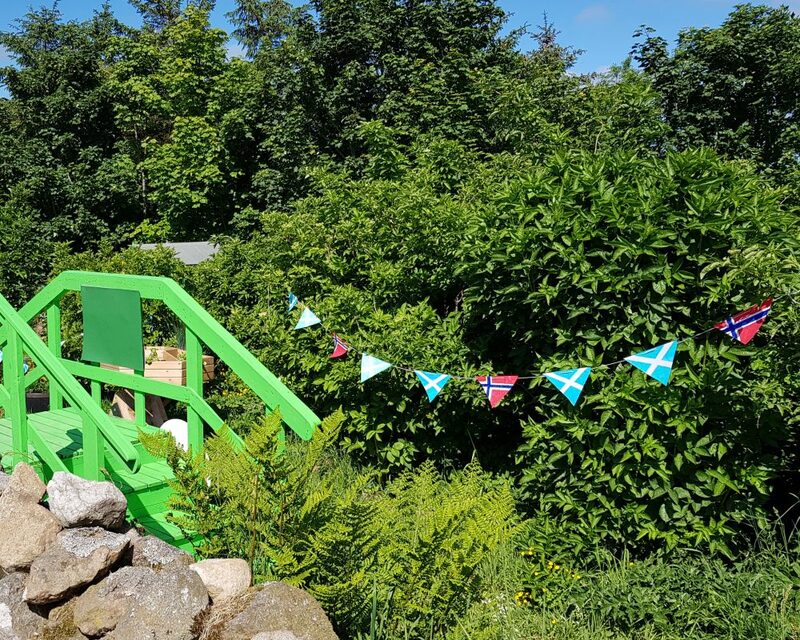 Inventively named by the children of the local primary school, the garden celebrates the community’s deep-rooted links with Norway and an exciting family connection with composer Edvard Grieg. 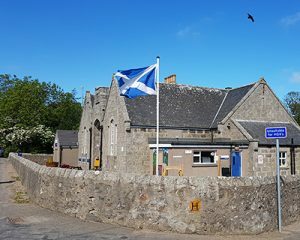 North East Scotland was enjoying one of those bonnie summer days with blue skies, barely a breeze, and birds that canna help but sing, when our Honorary Director arrived at the peaceful village of Rathen – kindly invited there by the staff and children of Rathen Primary School, to attend a grand ‘opening’! ‘Aye, foos it gaun?’ [hvordan går det?] came the cheerie cry as folks came up the brae, assembling not far from the kirkyard where composer Edvard Grieg’s paternal ancestors lie buried. It was a grand morning. But what none of us expected as we wandered by the granite school building, was the beautiful, neatly planted garden which greeted us, and the beautifully choreographed opening ceremony which followed. Invited to sit round a neat fence and carefully cut patch of grass, we had much to admire – early tatties in neat rows, birds at the bird feeders, borders full of blossoming begonias, and an abundance of bushes and trees providing a natural sheltering hedge. Waiting for the children at the Opening Ceremony 07 June 2018. Settled, or rather, gently squeezed into our appointed places, we waited as an impressively long line of schoolchildren filed by, and sitting row by row, filled the deep green grassy space before us until it became a waving sea of blue jumpers and happy faces. A hush descended over the gathering as the youngsters delivered their speeches of welcome and thanks. The Grieg Society of Scotland, along with representatives from Aberdeenshire Council, were warmly welcomed, as were the two most important guests of the day – Mr and Mrs Greig, who farmed by the village, and who had kindly gifted the land to the community for the purposes of making this excellent and educational garden. Mr & Mrs Greig open the garden. Mr Jim Greig, whose folks had farmed in the district for generations, had ‘aye thocht’ he was related to Edvard Grieg, and so it was, with this musical and family link in mind, the children had chosen a special and thoughtful name for their fertile plot. Proudly announcing the opening of ‘Grieg’s Healthy Hedge Community Garden’ (a name we feel sure will blossom in many ways!) there came a vote of approval too, as a worm, the cause of great wriggling and hilarity, suddenly made its appearance amidst the children on the grass – a ‘healthy’ sign indeed! 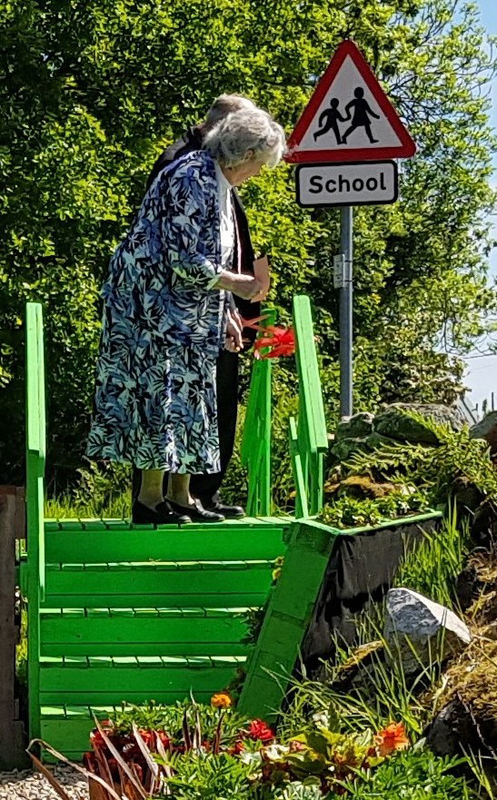 After a tree was planted and a ribbon cut, it was back to the village hall for a ‘fly cuppie’ and a ‘fancy piece’, all rounded off with a song – spoken in Scots, sung in Norwegian – from our Honorary Director who much enjoyed her day in the garden with Grieg! Aye, foos it gaun? – hvordan går det? 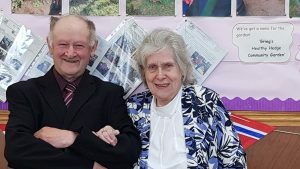 Advancing understanding of the lives, artistic legacies and Scottish connections of composer Edvard Grieg and his wife, singer Nina Grieg. Our mission is to inform and inspire. Want to become a member? Or just get in touch? Please use the form below, we would be glad to hear from you. Membership of the Society is free and open to all. To become a member, receive news and find out how you can participate and contribute, simply request here to join our mailing list. We will only contact you in connection with the work of the Society, and will not share your data with any third party. 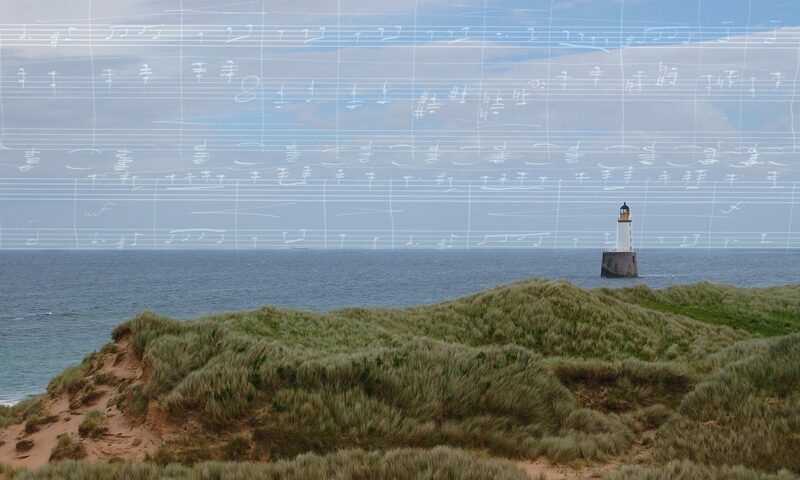 I / our organisation would like to become a member of the Grieg Society of Scotland by joining the Society's mailing list. I understand that I can unsubscribe, and therefore cancel my membership, at any time.